These accidents are, therefore, preventable and can be avoided with the proper safety training, precaution, and common sense. Construction work can indeed be dangerous. The line between a near miss and a fatality is thin. Although, the government will enforce safety and health laws and employers have an obligation to provide a safe and healthy workplace, it is still your responsibility, and you owe it to yourself and your loved ones, to stay safe and out of harms way. 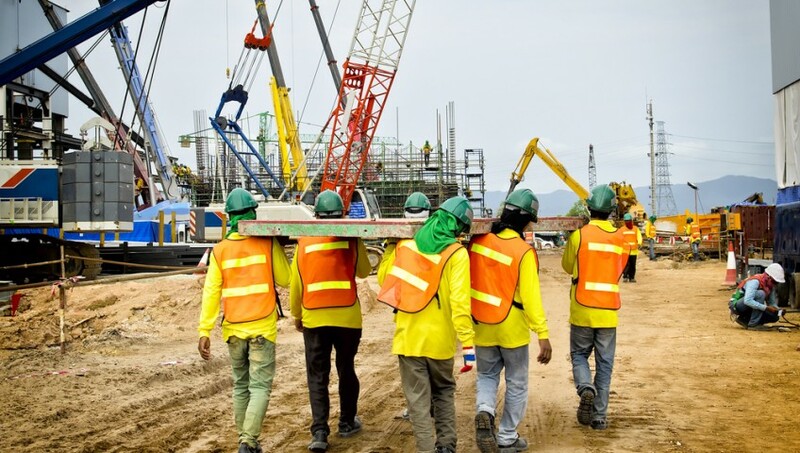 Government regulators and inspectors cannot be present at construction sites at all times and, due the nature of the construction business, employers cannot guarantee a 100% safe work place. Simple things such as a change in the weather or the momentary inattention of a fellow worker can lead to a dangerous situation in an instant. With the proper safety training, awareness of your rights and responsibilities, and vigilance against hazardous work conditions you can reduce, if not eliminate altogether, your risk of being injured at work. Here are some things you can do. – Take advantage of training programs provided by your employer, your union, and your safety society. – Observe safety rules and regulations at all times. – Know your equipment and use them correctly. – Wear and use the right personal protective equipment at all times. – Use proper barriers and guards always. – Don’t take short cuts with fire, electrical, or fall protection safety equipment. – Be sure to crib, block and secure all loads as soon as possible. – Take the time to do the job correctly. – Report unsafe work conditions. – Refuse to work in unsafe conditions. – Above all, be alert. It’s your life and health that is at risk. If you notice a hazardous situation at work you should bring it to the immediate attention of your employer, your craft steward, or OSHA. To report an emergency, fatality, or imminent life threatening situation to OSHA call 1-800-321-OSHA (6742), TTY 1-877-889-5672. To report other unsafe work conditions contact your local OSHA regional office. You can file a report online or by fax, mail, and telephone. You can request anonymity and OSHA will respect your request. Here are some useful links.